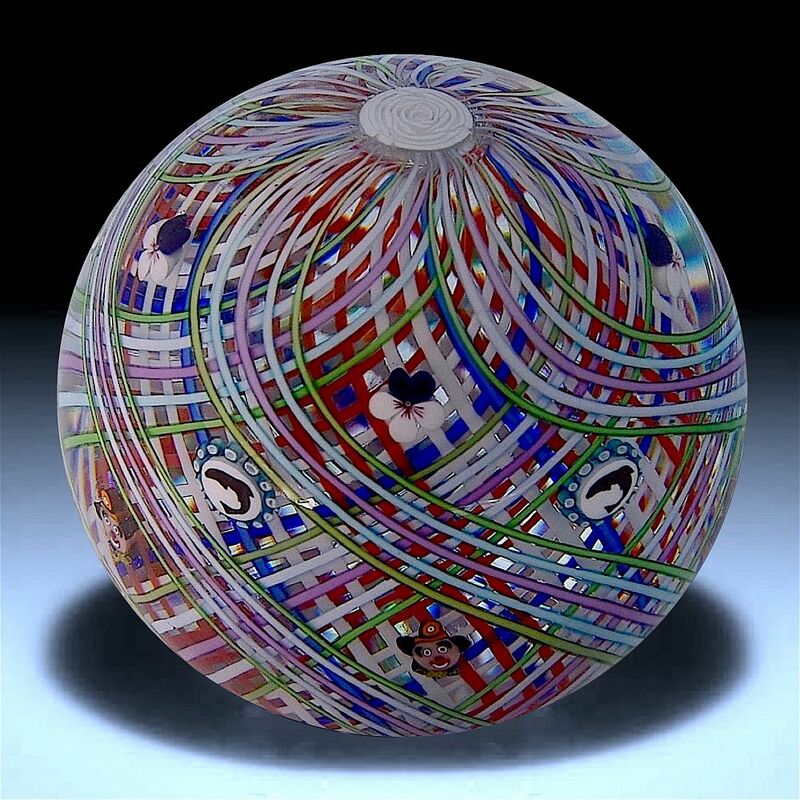 This lovely paperweight was made by Michael Hunter for Twists Glass in 2013. It consists of a double lattice overlay, the top overlay in strands of green pale blue & pink swirl around the top of the paperweight from a central white rose cane forming a curtain over the lattice underlay of terracotta white & blue. Floating amongst the top overlay are three rows of canes, the top row comprises 4 white & purple pansy canes, the middle row comprises 4 leaping fish silhouette canes and the bottom row comprises 4 "aah" canes. The base is scratch signed "M Hunter Twist 13 1 of 1" and in the centre of the base is Mike's personal "MH" silhouette cane. It has the Twists Glass studio label. The more you look at this paperweight the more there is to see, admire & enjoy.